WordPress is the single largest platform for website creation and web application delivery worldwide. About a quarter of all sites are now built on open source WordPress software, including sites for eBay, Mozilla, RackSpace, TechCrunch, CNN, MTV, the New York Times, the Wall Street Journal. Most WordPress sites are run on a traditional LAMP software stack: Linux as the operating system, Apache HTTP Server as the web server, MySQL as the database software – often on a separate database server – and PHP as the programming language. Each of these is a very well‑known, widely used, open source tool. Most people in the WordPress world “speak” LAMP, so it’s easy to get help and support. The performance bottlenecks in a LAMP site are particularly resistant to the usual instinctive response, which is to upgrade to more powerful hardware – more CPUs, more disk space, and so on. Incremental increases in hardware performance can’t keep up with the exponential increases in demand for system resources that Apache and the PHP/MySQL combination generate when they get overloaded. The leading alternative to a LAMP stack is a LEMP stack – Linux, NGINX, MySQL, and PHP. (In the LEMP acronym, the E stands for the sound at the start of “engine‑x”.) We describe a LEMP stack in Tip 3. Faster delivery to the user – Users get the static files from their browser cache or a caching server closer to them on the Internet. These are sometimes big files, so reducing latency for them helps a lot. To support browser caching, set the correct HTTP headers for static files. Look into the HTTP Cache-Control header, specifically the max-age setting, the Expires header, and Entity tags. You can find a good introduction on the Mobify Developer Blog. 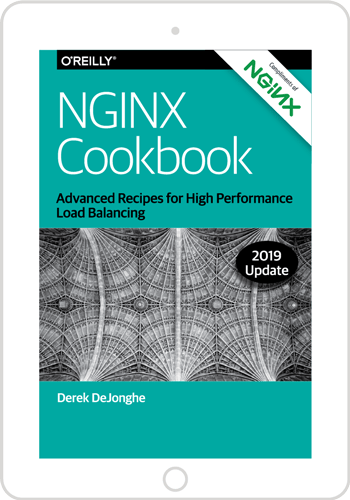 If you move to NGINX Plus or the open source NGINX software as part of your software stack, as suggested in Tip 3, then configure NGINX to cache static resources. The following configuration is a good starting point; replace www.example.com with the URL of your web server and make modifications to other pathnames as appropriate. Think of a user visiting a blog post that has comments enabled at the bottom of the post. You want the user to see all comments – even a comment that just came in a moment ago. Regenerating content dynamically for each request makes this happen. But now let’s say that the blog post is getting ten or twenty requests per second. The application server might start to thrash under the pressure of trying to regenerate the page so often, causing big delays. The goal of delivering the latest content to new visitors becomes relevant only in theory, because they’re having to wait so long to get the page in the first place. Hyper-Cache – Creates a single PHP file for each WordPress page or post. This supports some dynamic functionality while bypassing much WordPress core processing and the database connection, resulting in a faster user experience. It doesn’t bypass all PHP processing, so it doesn’t give the same performance boost as the following options. On the other hand, it also doesn’t require changes to the NGINX configuration. WP Super Cache – The most popular caching plug‑in for WordPress. It has many settings, which are presented through an easy‑to‑use interface, shown below. We show a sample NGINX configuration in Tip 7. W3 Total Cache – This is the second most popular cache plug‑in for WordPress. It has even more option settings than WP Super Cache, making it a powerful but somewhat complex option. For a sample NGINX configuration, see Tip 6. FastCGI – CGI stands for Common Gateway Interface, a language‑neutral way to request and receive files on the Internet. FastCGI is not a plug‑in but rather a way to interact with a cache. FastCGI can be used in Apache as well as in NGINX, where it’s the most popular dynamic caching approach; we describe how to configure NGINX to use it in Tip 5. Note: Caches do not work for users who are logged into WordPress, because their view of WordPress pages is personalized. (For most sites, only a small minority of users are likely to be logged in.) Also, most caches do not show a cached page to users who have recently left a comment, as they will want to see their comment appear when they refresh the page. To cache the non‑personalized content of a page, you can use a technique called fragment caching, if it’s important to overall performance. As mentioned above, Apache can cause performance problems when the number of simultaneous users rises above a certain point – perhaps hundreds of simultaneous users. Apache allocates substantial resources to each connection, and therefore tends to run out of memory. Apache can be configured to limit connections to avoid exhausting memory, but that means that when the limit is exceeded new connection requests have to wait. NGINX also deals with static files better, with built‑in, easily tuned caching controls. The load on the application server is reduced, and your site can serve far more traffic with a faster, more enjoyable experience for your users. Add permalink support – Add permalink support to NGINX. This eliminates dependence on the .htaccess configuration file, which is Apache‑specific. See Tip 4. Configure for caching – Choose a caching tool and implement it. Choices include FastCGI cache, W3 Total Cache, WP Super Cache, and Hyper Cache. See Tips 5, 6, and 7. Configure WordPress Multisite – If you use WordPress Multisite, configure NGINX for a subdirectory, subdomain, or multiple‑domain architecture. See Tip 9. Many WordPress sites depend on .htaccess files, which are required for several WordPress features, including permalink support, plug‑ins, and file caching. NGINX does not support .htaccess files. Fortunately, you can use NGINX’s simple, yet comprehensive, configuration language to achieve most of the same functionality. The try_files directive tells NGINX to check whether the requested URL exists as a file ($uri) or directory ($uri/) in the document root, /var/www/example.com/htdocs. If not, NGINX does a redirect to /index.php, passing the query string arguments as parameters. For open source NGINX, compile in the third‑party module ngx_cache_purge, which provides cache purging capability, and use the configuration code below. NGINX Plus has its own built‑in implementation of this code. When using FastCGI, we recommend you install WordPress’ Nginx Helper plug‑in and use a configuration such as the one below (the fastcgi_cache_key and the location block including fastcgi_cache_purge are especially relevant). The plug‑in automatically purges your cache when a page or a post is published or modified, a new comment is published, or the cache is manually purged from the WordPress Admin Dashboard. W3 Total Cache, by Frederick Townes of W3-Edge, is a WordPress caching framework that supports NGINX. It’s an alternative to FastCGI cache and has a wide range of option settings. The plug‑in handles NGINX configuration by writing to an NGINX configuration file located in the root directory of your domain. WP Super Cache by Donncha O Caoimh, a WordPress developer at Automattic, is a WordPress caching engine that turns dynamic WordPress pages into static HTML files that NGINX can serve very quickly. It was one of the first caching plug‑ins for WordPress and has a smaller, more focused range of options than others. NGINX configurations for can vary depending on your preference. One possible configuration follows. In the configuration below, the first location block (where the first parameter to the try_files directive has the supercache element in it) is the part specific to WP Super Cache, and is needed for the configuration to work. The rest of the code is made up of WordPress rules for not caching users who are logged into WordPress, not caching POST requests, and setting expiration headers for static assets, plus standard PHP implementation; these parts can be customized to fit your needs. Only allow uploading of specific types of files. to prevent programs with malicious intent from being uploaded and running. # Deny access to uploads that aren’t images, videos, music, etc. Rate limit access to wp-login.php to block against brute force attacks. Or use the following code block instead of the preceding one to add support for a subdirectory structure, substituting your own subdirectory names. Older versions of WordPress Multisite (3.4 and earlier) use readfile() to serve static content. However, readfile() is PHP code, which causes a significant performance hit when it executes. We can use NGINX to bypass this unnecessary PHP processing. The code snippets below are separated by lines of equal signs (==============). Scalability is a challenge for more and more site developers as they achieve success with their WordPress sites. (And for new sites that want to head WordPress performance problems off at the pass.) Adding WordPress caching, and combining WordPress and NGINX, are solid answers. NGINX is not only useful with WordPress sites. NGINX is the leading web server among the busiest 1,000, 10,000, and 100,000 sites in the world. For more on NGINX performance, see our blog post, 10 Tips for 10x Application Performance. Open source NGINX software – Like WordPress, this is software you download, configure, and compile yourself. NGINX Plus – NGINX Plus includes a prebuilt reference version of the software, as well as service and technical support. To get started, go to nginx.org for the open source software or check out NGINX Plus.